I'm a researcher at IBM's T.J. Watson Research Center (http://www.watson.ibm.com). I'm also author number 4 of the GangOfFour and wouldn't have it any other way. My research interests are in software design tools and techniques (especially object-oriented ones), design patterns, application frameworks and builders, software visualization, and tools for user interface development. I have something to do with most of the InterViews application library, but I'm entirely to blame for its UnidrawFramework, one of the first frameworks for graphical editors. I have published immodestly; see http://www.research.ibm.com/people/v/vlis/pubs.html for the most approachable stuff. I'm also a member of the HillsideGroup, although I missed the first meeting on account of our oldest's decision to leave the womb. In the spirit of the late-great Jose Jimenez, I want to be three things when I grow up: a great writer, a great chef, and a great composer. Each involves the moral equivalent of software development - only the programming media differ. Now all I need are decent development tools and maybe some talent. I welcome edifying e-mail at vlis@us.ibm.com. My real home page is at http://www.research.ibm.com/people/v/vlis. John and I shared many things, often across distances of culture, geography, and time. John was first, to me, a brother in our shared faith. We worked together at a distance alternating months in our early pattern contributions to the C++ Report before patterns had become a fad. I shared with him the celebration of his thoughtful Pattern Hatching retrospective, written from a stance that few have the discipline and courage to take, and with the care that few have the patience to expend. We had our disagreements, which I think honed both of our thinking - and in spite of them I can think of no sane consideration that should or would diminish the value of the threads he contributed to the tapestry of who we are as professionals or caring human beings. John was also, of course, a quintessentially unique paradox. Often unpretentious yet often the unwilling passenger on a journey of tragedy; a willing contributor and volunteer, in spite of laurels on which even an industrious person would be willing to rest; ever an outward smile and Hello in spite of the distractions and pain of his station. John and I shared many things, as he has shared and will continue to share with all of us. He's my example of what it means to be great to be human, in the fullest sense of the word. I look forward to seeing him again some day. I remember my first encounter with John... It was during my first PLoP. I was thrilled that he was in the same airport van... one of the Gang of Four... I was in awe. But I discovered that he was just a regular, friendly guy... he asked about my patterns work and was genuinely interested in it. We ended up on the same (small) plane. It was an awful flight... I thought I should reach for the barf bag many times but I knew I didn't want to throw up around John Vlissides! The plane finally landed... John stood up (he was in the seat directly in front of me), shook his head and said "Gee, I almost got sick on that flight." This may seem like a silly story but it is one way to show what a nice, common guy he was despite his fame. He had the respect of many people in the patterns community because he was smart, friendly and caring. Thanks, John, for all you did for us! I had the pleasure of working with John many times over the past decade. He was the shepherd of my inaugural patterns paper on the "Reactor" at the first PLoP conference in 1994. I remember being elated that he considered the Reactor a good pattern (which was no surprise since it was inspired by the work he and Paul Calder had done on the Dispatcher framework in Interviews and Unidraw). I also remember being grateful when he provided me many suggestions to improve my writing since he felt it was turgid and pretentious (no doubt a consequence of the guild system in academia). I've tried hard to redress John's constructive criticisms throughout the rest of my career. We next worked together when I edited the C++ Report and he and Jim Coplien alternated writing columns on patterns every other month. The yin and yang of their styles and insights was tremendously enlightening to me. Many of the columns that John wrote during this period found their way into his Patterns Hatching book, and I appreciated the chance to watch John incubate these patterns. John always encouraged me to ensure that the articles and columns in C++ Report were well-written and informative since he knew that many programmers relied on this material to improve their practice. Most recently, I had the honor of working with John at OOPSLA '04 in Vancouver, British Columbia, where he was the conference chair and I was the program chair. OOPSLA '04 reversed the downward trend of attendees and was well received, thanks in large part to John's tireless efforts, great organizational leadership, and promotional flair. John pushed all of us on the conference committee to do our best so that we'd create an enlightening (and entertaining, as evidenced by John's performance as "Jimmy the Freshman" in "Dating Design Patterns" skit) event. I didn't realize how serious his condition was at the time, so his dedication and attention to quality was even more remarkable. This is how I will always remember John - a person who led by example, inspired excellence in those around him, and went above and beyond the call of duty to help his colleagues and his field succeed. Where dead men meet, on lips of living men. I first met John at the second HillsideGroup meeting. We were instructed that we wanted a spirit of openness and then we were all asked why we were there. I said I wasn't sure exactly, but could think of a few reasons that came to mind which I shared (and now forget exactly what I said), but that one of them was probably because part of me wanted to be famous... I was trying to open myself up totally, and was a bit ashamed to admit that I found some of this feeling inside of me. When John shared his answer a little later, he said, "Why am I here? It's certainly not because I want to be famous... at least I hope not." I was a bit offended that he didn't give me positive strokes for making myself vulnerable, and felt that he was probably in denial about wanting to be famous himself, and a bit pretentious that he was above such petty base thoughts. As I got to know John, I came to realize that he was as unpretentious as they come and he was being just as open as I was... maybe even more. He was the real deal. He really didn't care for fame and was just John. He would tell you to your face if he disagreed with you whether you were WardCunningham or some programming rookie. He would listen intently to your thoughts whether you were WardCunningham or some programming rookie. He always desired to take it all in, identify the chaff, and keep the wheat. John really didn't care what other people thought about him... not in the arrogant sense, but in the sense that he was not seeking the praises of men. At that same HillsideGroup meeting, we had a team building exercise. I forget the specifics, but I clearly remember that we had to get the group over a virtual chasm of some sort and get the bridge (a large piece of lumber) back to keep our enemies at bay and use for future tasks. With all of these great minds in the HillsideGroup, we wondered how to get the bridge to our side without dropping it or having some of our members fall in the virtual chasm. Someone said we wouldn't have the leverage we needed to do it, and several huddles of great minds began to form. John spoke up and said, "guys, I think I can just pick it up and pull it over without dropping it." He was summarily dismissed and the great minds kept huddling to explore more intelligent plans. After another minute or so of standing in disbelief John said, "Hey guys, I really think I can...". He cut himself off realizing no one was listening to or believing him. (He was unaware that I was observing him as this happened). So, he walked over, picked up the bridge after making sure he had a solid stance, and pulled it over to our side. He then shyly told the great minds in the huddle, "Let's start working on the next problem, we've got the bridge over on this side." He never mentioned one time how the great minds totally miscalculated the problem. He never mentioned his success unless someone asked, "How did you get the bridge over here?" to which he merely said, "I just leaned over and picked it up.". That was classic John. Later that year, I noticed his inscription in the GOF book, referring to Joshua 24:15. I wrote him and asked him if he was a Christian and whether he would tell me a little about his faith. He wrote back and said something to the effect of "Yes, I am a Christian. The fundamentalist, politically incorrect kind that believes the Bible is the inerrant word of God and that we are all sinners that are going to burn in hell unless we put our faith completely in Jesus Christ who is the only way to heaven. You know, the kind that the media thinks is the most dangerous kind." At that point, he didn't know anything about my faith, but he didn't hold anything back. Over the years, our friendship grew and I found John to be a faithful brother, a great encourager, a brilliant-yet-humble man, a steadfast and optimistic man in the midst of trials of the kind that push many lesser men over the edge. I received a special blessing when my path crossed that of JohnVlissides. In 1995, the Design Patterns Study Group of New York City began weekly meetings to discuss the important design ideas that John and his co-authors had written about in the great book Design Patterns. Our group's first celebrity guest was JohnVlissides. I had met John at a PLoP conference and, taking a chance, had invited him to visit our study group in Manhattan's Soho district. In John's typically humble fashion, he said he'd been waiting for the invitation. A few days before his visit, John and I had the idea to play a joke on my colleagues in the study group. We would not mention that John was coming. Instead, John would show up to the meeting, and I would pretend that he was a fellow I'd recently met at work. On the evening of John's visit, over 15 programmers assembled in the caf&#65533; Many of these folks were experienced C++ developers, veterans of IT departments on Wall Street. In particular, my friend Sterling was perhaps the most experienced, an avid reader of C++ books and magazines. When John arrived, I told everyone that he was Bob. People made space for Bob, and no one seemed to notice just who Bob was. Halfway into our dialogue, it had become abundantly clear to everyone that Bob was one smart dude. He was making one erudite point after another and gently correcting people when they got something wrong. After Bob made a particularly insightful point, Sterling decided that something was a bit fishy about Bob. So Sterling reached into his bag to have a look at his latest C++ Report. Flipping through the pages he finally landed upon John's column, which featured a picture of John. Once he was convinced of a match, Sterling smiled at me, and I quickly covered up his magazine. At the end of the meeting, I announced who Bob was. Everyone was stunned. John loved it. He signed many books and everyone was terribly excited to be around him. We then took John out for dinner and spent the rest of the evening huddled around him, listening to his stories. I will always remember John as a gifted leader, a great writer, and a humble and humorous human being. 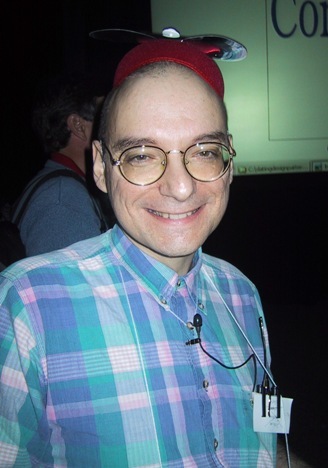 One of the great things about John was that despite his success and his contributions to Computer Science he remained approachable, low key, and down to Earth. With respect to his fame, John jokingly referred to the "rock star" status he attained from the "Design Patterns" book. That book was, in fact, one of the seminal CS books of the late 20th century, and yet it was typical of John not to take that too seriously. There were two other occasions when John impressed me with his humility. John asked me to serve on his OOPSLA 2004 committee, and I felt it was the greatest honor that had ever been extended to me. John's attitude, though, was that I was the one doing him a favor, and he was thrilled that I accepted. Another time, I got the chance to tell John that he had impressed me as a model of patience, good humor, and decorum during the OOPSLA "mock trials" of the Gang of Four. John replied that was surprised he'd made a good impression at all. Such was John's humility, a great countermeasure to his ability. He will be greatly missed. The characteristics I most associate with John are humility, desire to serve others, and spirituality. At one of the mid 1990 OOPSLAs, a crowd surrounded him in the exhibition area. A long line of people waited for him to sign a copy of Design Patterns while he concurrently talked with several colleagues about some new patterns ideas. In the midst of this, one of the OOPSLA students wandered by, trying to find the next talk. John was the first to notice this student wandering. He also knew where everything was. He stopped talking and signing, and very gently guided the student with helpful directions to the room (maybe it was Atlanta in /97?). It was a small action - but so typical of John - to reach out to anyone in need. He noticed the student's concern and had the knowledge to help. And he aided so effortlessly. 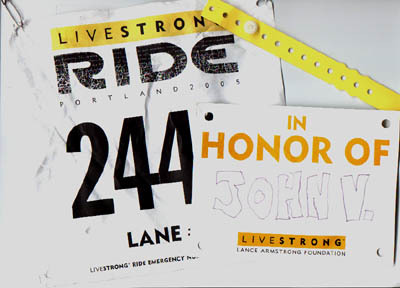 John was more selfless and giving than any I've ever known. At the viewing yesterday, Dru Ann asked for colleagues to share similar memories in a public forum. So if you read this, and John impacted you, please add your story here. Please let others know about this Wiki and encourage them to share their story too. I first met John at PLoP in 1994 and then at OOPSLA when the Design Patterns book came out. He later helped me with the translation of the book into German, by providing advice, the graphics, as well as the Interviews visual editor that was the only tool that could render the graphics properly so I could translate the labels into German. We maintained professional contact over the years, about patterns at PLoP, regarding the Design Patterns book, discussing upcoming articles in his Pattern Hatching column etc. When I felt it was time for me to go back to school, he provided one of the recommendation letters that helped me get accepted into the school of my choice. In all his dealings with me, he was always helpful, unpretentious, and kind. I met him one last time at OOPSLA 2004, where we both played in the rather silly Dating Design Patterns sketch. He played Jimmy the Freshman. The illness had obviously been taking its toll, he was a milder and mellower John than the one I used to know. Yet, his personality and his radiance seemed as lively as ever, and his determination to enjoy life was unbroken. For me, this aspect of him will stay with me as inspiration for the rest of my life. John and I had both just signed up for the new underdefined "Architect's Workbench" project, and he proposed that we two pair on some aspect of the low-level design. I needed to finish some kind of doc for my former project (in which he had no part), and suggested he come afterwards. An hour or so passed and he showed up, although I was unready, still having several diagrams to draw. He opened up his laptop, looked at my sketches, and set to work diagramming for me. In our time together, we often paired, in the sense of extreme programming, a mode that when we started I found so novel as to be almost frightening, but learning it from him, it simply came to seem natural and efficient. He always practiced code cleanliness, and was as generous with polite and focussed advice as he was with praise. When presented with good evidence, he quickly took responsibility for his own bugs, a characteristic phrase being "who wrote THAT code?!" He argued for brevity, clarity, and simplicity in code by invoking human limits: we cannot understand things that are too complex, he believed. John was my mentor and colleague at IBM Research. I was lucky and fortunate to be in the same group for almost 4 years. He helped understand many aspects of design patterns that went beyond his famous book. Whatever the interplay between design patterns and programming languages, the fact that patterns reflect best practices makes them good fodders for experimentation: there's little question that a pattern solves a relevant problem in a domain. It remains for the language designer to decide whether that domain is broad enough to warrant language support and, if so, the form and extent of that support. There's no support for good taste. I've been acquainted with John since OOPSLA '91, when he was still a student at Stanford and was publishing about UniDraw?. We would meet at at conferences, mostly OOPSLA or PLoP. It continued through the patterns thing into working on the organization of OOPSLA - John and I were both part of the conference committee in 2001, when I chaired OOPSLA 2003 he was chair apparent, learning the workings of the conference from the inside (and perhaps more importantly, learning what not to do from my mistakes) to chair the very successful OOPSLA 2004, the last time I saw him. Along with being an outstanding computer scientist, John had a keen interest in radios, and since I play with radios for a living (I don't know how they work, I only know how to make them do useful stuff), he and I would have long conversations about how cellular telephony actually works and he would berate me (as if it were my fault) for how crappy the Motorola handset user interface was - he was an expert on the topic, of course, and truly did know how it should work and why that user interface was so bad. I can only echo the comments from above - he was always kind and humble, and quite fun to be with in social situations - and I'll miss my discussions with him. While at IBM, my working day would often begin with a chat with John in his office. We would discuss our latest research ideas, the news, what was hot and what was not. John had the great ability to run with the grand speculative idea but also ground it to practical reality. I think that was the engineer in him - a tradition in his family. Later, as we worked on Design Patterns, I recall many discussions, arguments, and whiteboard sessions about the content, style and structure of the book - should it be the Singleton or Solitaire pattern, a phrase here or sentence there, or the difference between American and Australian English. Typical of John, these discussions were engaged with great intensity, humour, and spirit. It was John's spirit that made working with him so much fun, and provided me many moments of encouragement as we worked through writing Design Patterns. The last time I saw John was in New York in July. Ralph, Erich and I were all in NY and planned to meet John. Unfortunately, John had taken a turn for the worse. With the assistance of John Wait, we went to visit John at the Sloan hospital. All John's usual spark, insight and wit were there despite the seriousness of his illness - but there was also a great courage and determination to continue. New plans were hatched, and many of the discussions from 10 years ago were resumed as if we had never left off. It was a great afternoon. One I shall remember and cherish forever. As I reflect on the past 15 or so years I have known and worked with John, so many memories and influences come flooding back. But for me it's the little things that have stuck - his exhortations to "Get some pride", his self-depreciating humour, our long thoughtful discussions, and his generosity of spirit. Working with John was a great personal and professional pleasure. I will miss him. I knew John from working on the InterViews project at Stanford in the mid-1980s. At that time, his passion for silly humor and good meals was already in evidence. We had kept in touch on and off over the years, including the past few OOPSLAs. My fiancee and I had breakfast with him after OOPSLA 2004 in Vancouver. He seemed to be in great health. It's shocking to think that that was only a year ago, and now he's gone. He inscribed my copy of the Design Patterns book with the phrase, "In some sense, the paradigm is canonical." This, of course, makes no sense whatsoever - it's just another of his silly phrases. Pure John. I'll miss him terribly. When I first met John, I'd just moved to the US from the Netherlands; I joined IBM and in many ways was still inexperienced and immature in both professional and life skills. One of the people who made me feel like I was coming home to a safe haven was John Vlissides. With his uncomplicated, warm, insightful, unselfish, and faithful approach to life, he was able to make my life so much richer. John gave me invaluable advice on so many occasions and often I wondered how someone could be so wise, being only a few years older than myself. His courage has been a great example for me personally. We went through a serious medical problem with our youngest son a while back, and during that episode, I more than often thought back at John and his family, and how they had to go through such devastating experiences as seeing a child suffer and succumb to such a terrible disease. John has been an example for me in many ways, and I regret not having been able to convey this properly to him in person. He would have been too modest to actually accept the credit, I believe. Today, I talked with my eight year old son Bob about Heroes. Bob saw a movie where one person gave his life to rescue another. Bob explained a hero as "someone whose body disappears but who lives on in our memories forever". John Vlissides is such a hero. I've profited from John's help a lot. He was giving me advice, encouragement or just helping me improving the words I've stringed together. I was always amazed what he can do to words. I had the impression to have a special privilege to get so much of his support. "Sure you don't want me to do a pass? I can have it for you in one hour" was his answer to my last request and the outcome was much better as always. When reading this page I see that I didn't receive special treatment, John was helping everybody! John really cared, you see this in his code and writing and everything else. As an example, during the finish of Design Patterns we attended ECOOP together. John was always having the manuscript in his suitcase (I rarely saw him without such a suitcase) and editing it in any free minute. He used a different color for each editing pass. When sitting besides him during a less interesting talk I counted around four colors on one page. The get together with Ralph and Richard in NY was a very special moment that I'll never forget. Even while he was weak he was giving us so much encouragement and appreciation. When looking back to over a decade of knowing and working with John I see intense discussions, many iterations on things we produced, but also lots of humor, which made it a pleasure to work with him. I wish I could remember more of his phrases like "barocken code" or "total miasma." The Gang of Four cruising through Objectville. The picture was created by Eric and Elisabeth Freeman based on some more recent pictures for their Head First Patterns book. When signing books John said he has a rock star feeling. The picture was taken by AndreWeinand during OOPSLA 94. I've worked with John over the last decade and have always been impressed by what a genuinely nice guy he was. This was especially remarkable in view of the international acclaim John's work received within the Computer Science community. I first met John while I was working on IBM's C++ class libraries and found his Patterns work to bring a welcome measure of order to their structure. I then switched into Java and saw the same patterns re-emerge in the JDK. I now work on Eclipse and see Patterns everywhere. They are in the core Eclipse Platform and in the code my project develops for the Eclipse Web Tools Platform. John has been a huge influence to many of my team members. We'll miss him. What a model for humanity! A rare combination of generosity of spirit, inventiveness, deep insightful analysis and yet humility. John was a trusted colleague and friend. He was always quick with a genuine smile when he and I would bump into each other at conferences. Over the years, he did me several good turns, both personally and professionally. When my partner's son was stricken with cancer, he gladly and generously reached out to him to share his own experiences with child cancer, and the death of his daughter Helen. When I needed a recommendation, or a foreword, or support in an argument, he was always willing and able to help. Though he is no longer present, he remains a role model. It seems to me that John Vlissides understood what it meant to be a "good man". I have so many memories of John, all of them positive, that it's hard to sort out only a few. John has acted as a mentor to me for years and served as the inspiration for me to do the same to others. Back when we were writing the Design Patterns Smalltalk Companion, there were a few times when things went a bit sticky - any time you write a book with multiple authors disagreements always crop up - John modeled to me how to work through them with anecdotes about when they wrote the GOF book and personal encouragement to be perseverant through the process. He also showed me how to be firm but fair as an editor - how to make sure something is accurate without losing the author's voice in the process, a skill that I've tried to copy ever since. But it was in the way he worked with people that I learned the most from John. Others have mentioned how he never let his "rock star" status go to his head, and how he was just as comfortable working and talking with a new graduate student as with an established "leading light" in the industry. I witnessed that time and time again when working with John. I've seen him put a room of new patterns people at ease as a PLoP reading group moderator (and watched them promptly forget that John was "THAT John Vlissides"), I've watched him give keynote talks that seemed to be just as intimate as if he was sitting down over coffee with you, and I've seen him work the same magic with conference committees both inside IBM and at OOPSLA. In short, what I saw was real humility at work. I'm convinced that this came from John's faith and his genuine love for people - he truly never saw himself as better or smarter or "more famous" than someone else - ever. I'm going to miss John a lot - but I have the hope that I'll meet with him again someday. My thoughts and prayers are with his family, especially his wife Dru Ann, who has already been through so much. You need not look further than the Gang of Four book to know that John had a hand in changing his profession. If this is how you measure the success of one�s life, John lived his life well. But I have a more personal story to tell. John and I, along with a few other very talented people, worked to bring the concept of patterns to our profession. Thus I had a number of opportunities to learn from John, but my most profound association was with John, and Jim Coplien as we jointly edited Volume Two of Pattern Languages on Program Design (PLOPD2). Over the years, John had mastered excellent editing skills and as we worked on PLOPD2, he taught me how to approach a piece of my text that I thought was finished, to make it better. John reworked my best written-efforts and reworked them again, and then edited yet again. I watch and learned as John began by removing many of my words while keeping my message. Then he reordered phrases in a sentence, occasionally stopping to search for a word a bit better than the one I had used. Connecting two sentences, breaking up sentences, soon John showed me a masterpiece that sounded as if I had written it! I thought such editing insight was a gift with which John was born. He assured me that it was a skill that could be learned. Buoyed by his confidence, I began to study material I had missed during my formal education. John�s belief that I could learn to write helped me confront the ghosts of English teachers past with their dreaded red pens and failing grades. With his encouragement and a bit of hard work, I mastered the skills necessary to write my first book Project Retrospectives: A Handbook for Team Reviews, published in 2001. So not only did John co-write maybe the most profound computer science book of the 1990s, but he also showed me how I might gain the skills I longed for, but believed I could never acquire. I will miss John, but I�m most thankful that his path on earth and mine came together for a period of time. John Vlissides was a software celebrity that was not afraid to interact with the common man. I first contacted John in 2001 and he gracious enough to reply almost immediately. Even though I never met John physically, our interactions over the internet were always most rewarding. His writings on Patterns have helped me like no other author. One of the things that I want to remember John for is his faith in Jesus and his clear stand in this. You were an inspiration to me and an example of a true Christian who was not afraid to testify to his faith. John, I am deeply saddened at your departure, especially for your wife and children. Until we meet again, John. John was -- one of the most approachable people in the technology field; generous; able to explain complex details to most of us; and just a decent man. My prayers go out to his family as he will be sorely missed by all. Although I never had the opportunity to meet John in reality, what he thought, at least to me through his writings, made him already a legend in software development at lifetime. And he would have been a personal inspiration if I had met him once. It's probably only a cold comfort for his family but I'm sure he is now in a better place having a protective hand among all of us. I remember I once had to give a presentation on patterns and the client told me the evening before the presentation that he had changed his mind and wanted a GoF introduction instead of the prepared general pattern introduction. Since I had no GoF material on stock, I called John that night and he gave me his complete tutorial with all permissions just for free. Though we only met about once a year he always gave me the warmest welcome. I will miss him. My name is on the cover of The Pattern Almanac 2000, but the idea was John�s. He not only had the initial inspiration, but was also the architect and, finally, played the quality assurance role. If the Almanac made a significant contribution, it was because of John. When he approached me about taking on the task, I wasn�t sure it could be done - capture all the published patterns? And, if it could be done, I wasn�t sure I was the one to do it. It was only because John had faith in me and was really my co-author that it happened at all. I remember Ward Cunningham complimenting me on the writing of the small summaries for the more than one thousand patterns in the collection. I explained that I had written the first pass of those summaries, but that every paragraph was examined from all sides and polished by John. Over the nearly two years of work on this project, I went through a couple of major speed bumps in my life. I put the Almanac and everything else on hold and went to be with my mother in the last few weeks of her life. I was also �downsized� from AG Communication Systems, the best place I have ever worked, where all my connections with patterns began. The Almanac is �dedicated� to that company - that�s how much I loved it. 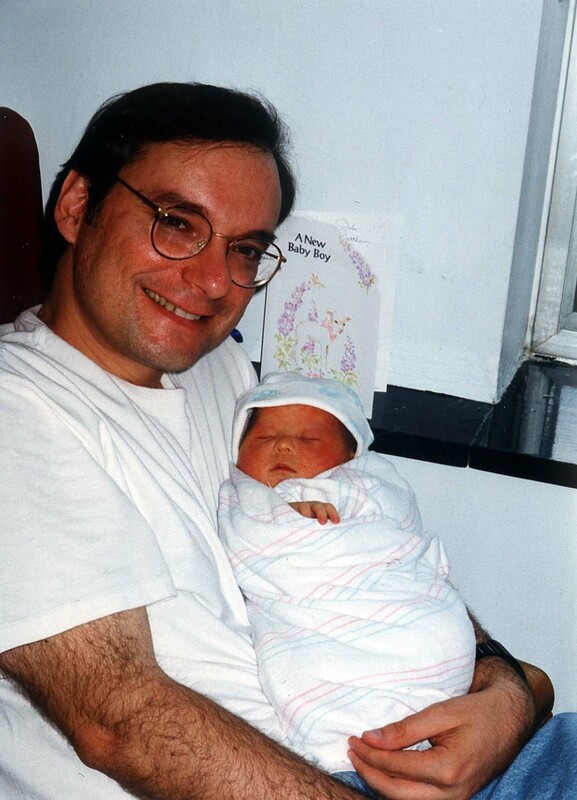 John was there for me through all this, even while he had a child with cancer, little Mark, who was in and out of hospitals over the entire Almanac project. John was a man who was tested and I guess he passed with flying colors. It�s ironic that the last time I �worked� with John it was on that crazy play at OOPSLA last year about the Dating Design Patterns. That was John as �Jimmy the Freshman�, who was not afraid to get up in front of the world with his head shaved wearing a beanie. What a strange and wonderful last memory. It will always make me smile. Thanks, John. Reading someone's writing can give you a sense of that person; an email exchange gets you closer. But there is nothing that beats meeting up face to face and having a proper conversation. Over the course of the late 1990s, this was my gradual introduction to John. I first met him at OOPSLA in Denver in 1999 and his conversation and remarks have for me been a constant feature of OOPSLA ever since. It is these casual conversations that I will perhaps miss the most. Whether it was etymology, patterns, currencies of the world, programming language design, the conference, writing, or pretty much anything else, he was engaging, interested, honest and armed with both humour and attention to detail - along with that smile and that sparkle in his eyes. The last time I saw John was at Vancouver in 2004 when we were both in the Dating Design Patterns play. The play itself was ridiculous and fun, but half the farce and hilarity was in the chaos of rehearsal. John wandering around as Jimmy the Freshman, with a ready wit and apparent energy that belied his condition, plus that propeller beanie (which he continued to wear after the play). His absence at OOPSLA 2005 in October felt tangible, a sense that will deepen in future conferences, but it is his presence that I will remember. We still have a great deal we can learn from John. His enduring influence at the personal level and across the discipline of software development is rooted in sincerity and insight. It's sad indeed to hear of John's passing. He'll be sorely missed by all who loved him. Along with John, I was one of the team of PhD students, led by Mark Linton, that created the InterViews user interface toolkit at Stanford University in the late 1980s. (The team also included Craig Dunwoody, Russell Quong, Doug Pan, John Interrante, and Steve Tang.) For me, they were heady days in which we were learning about the new-kid-on-the-block language - C++. We thought were were learning how to make it do what we wanted, although I suspect that it was teaching us new ways to think about programming. But it took John's foresight (along with his co-GoF collaborators) to distill some of those lessons into what became known as design patterns. I well recall that when I first read "Design Patterns" I found myself time and again saying "yes!" in response to the gems of insight and advice expressed. John's intellect and extraordinary writing abilities are stamped deeply into those pages. Indeed, John had a near obsession with words. And if he couldn't find the right one, he would make one up or twist one to his own ends. His favorite as a PhD student was "miasma". Yes, it does mean "foul stench" or the like. But in John's hands it became almost universal. Having something proclaimed a miasma could mean anything from "completely bogus" to "slightly suspect" or even "nice hack!". And you had to say it right as well; I can still hear him proclaiming some hair-brained idea "meeeeeeee-AZ-mah!" And then there were the hours John and I spent in head-to-head mortal combat in "dogfight" mode on the SGI flight simulator (what else were a couple of state-of-the-art graphics workstations good for?). We honed the skills of "flying" some high-tech war plane at full throttle in impossibly tight turns at about 20 feet of altitude (anything else made you a sitting duck target). If they were real planes, we'd have torn the wings off or blacked out from the G force; as it was, he had the edge on me. More often than not, he'd steadily wear me down until he had me in his sights or I flew into a hill through desperately trying to evade him. In some ways, those "battles" epitomized John: he had the skill to run "the system" right to the ragged edge, the creativity to find some new way to push beyond what others might think possible, and the tenacity to follow through to the end. John was fiercely competitive, but always with a friendly smile; he was a true gentleman. But most of all, for me John was my best (and most critical) sounding board. I fondly recall long and intense discussions (often in the small hours of the morning) thrashing out some new idea that he or I had hatched. Usually, such sessions ended with one of us conceding that the other was right after all, and with both of us holding a much deeper understanding of the issues. I was John�s thesis advisor at Stanford. It was a period of time with an afterglow�that is, it seemed pretty good at the time, but over the years I came to realize what a great experience it was. I know John felt the same way because we talked about it in January. As a student, John was a beautiful blend of a child having fun and a hard-working adult with a strong sense of discipline. I remember when we got some new systems or applications John would play with them, trying different features and different combinations of mouse and keyboard interactions. When the system did something interesting and helpful, he would say it was �Happy!� But when it did something inappropriate or confusing, he would say it was a �Catastrophe!� I also remember John telling me that he was going to finish his thesis in a certain amount of time by spending half of every day coding and the other half writing. As many graduate students can attest, this objective is more easily stated than achieved. To my amazement, he was the rare student who did it, and he did it very well. Being the Star Wars fan that I am, I imagine looking out in the distance and seeing John�s smiling face in glowing green phosphor. Of course, he wouldn�t say �Use the Force.� He would say �Get some pride!� Pride to John was not about ego, but about doing something good that others appreciate. This spirit was important to our group, and a more significant concept than I realized at the time. I want to thank John�s parents for allowing John to come to Stanford and sharing him with us. It was a wonderful time that I shall always treasure. Thank you! I had the honor and privilege of working with John the past few years. He was a real "mentsh" (Yiddish for an honorable, decent person... and so much more). As John faced his illness, his optimism and spirit were unwavering. He was a true inspiration and role model to me. I can only pray that if faced with similar, I would have half the grace and dignity that he demonstrated throughout. My words don't come close to expressing my feelings, but I hope that they can, in some small way, bring comfort to John's friends and family. Good advice. When I asked John to write a foreword for our design book, I was anxious about whether our writing and style would pass muster. It did (whew!). I was stunned by his generous, kind, and encouraging words in the foreword. John has been a good and wise friend, mentor, and colleague, who has encouraged and inspired many in the software community. I will miss him very much. A few years ago, I wrote a spoof of the Gang of Four book, "Dating Design Patterns", claiming that the software design patterns were just a cover-up to distract attention from the ultimate geek guide to dating the gang were trying to keep a secret. I believe that on top of that preposterousness I claimed in the book that John wore leather pants more frequently than was strictly appropriate. John clearly, as Brian stated earlier, was not overly concerned with dignity, since John not only didn't mind the book but contacted me to do a presentation for OOPSLA 2004 in Vancouver to help celebrate the 10th anniversary of the real patterns book. John was kind, helpful, and took delightful glee in portraying the role I wrote for him, Jimmy the Freshman, who didn't believe in patterns. John worked to get me a copy of the video of the presentation afterwards, a gift that is all the more important to me now. I don't have new characteristics of John to add to the list; but I wanted to express my appreciation that he gave me an amazing opportunity to come to OOPSLA, and, of course, to meet him, as well as Ralph and Erich. He took a chance on a weird little book and its author and I'm very grateful. While still in high school (and a few months of casual C++), I bought the Gang of Four book because the comments on Amazon said I should. I barely knew how to design a class, forget groking the whole polymorphic thing. I put the book on a shelf, not picking it up until my first year in College. Reading and comprehending it for the first time was a mind-altering experience. It is one of the few non-religious books that becomes more meaningful each time it is read. I had bought the design patterns book a whole year before I actually opened it and read it. Then when I opened it, it was my permanent companion whenever I was writing code. I bought another copy so that I don't have to carry my book between home and work. I recommended, taught and preached the book to anyone who wanted to talk programming or learn from me. It is the best bottle of wine I have bought, tasting better than before as years go by. 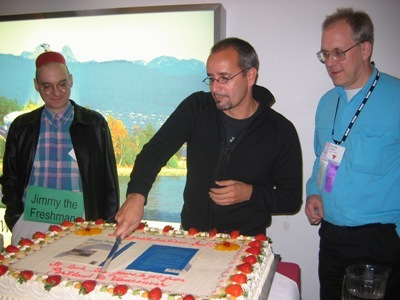 An annual Design Patterns Conference in John's memory would be the way to continue on John's work. I met John the first time when I was a student and he was giving a talk at ETH in Zurich. I had a brief conversation with him after his talk. 6 years later, when I was working as a post-doc, he visited our research group at Cornell. To my biggest surprise he remembered me and even knew my name! I will always remember John as one of the most unpretentious people I have ever had the pleasure to meet, even though he was famous through his patterns work. I met John at one of the first PLoPs, but when I really got to know him was at the third PLoP. I had decided to push the pattern envelope, and submitted some patterns of music. They were (rightly) rejected as being off-topic, but John wanted to workshop them anyway, so we did it one evening in a BoF. During the workshop, John illustrated one of his comments by singing! It made a real impression on me. Our friendship grew as I was lead editor of PLoPD4 and worked very closely with John, as he was the managing editor of the pattern series. I found him just as Norm Kerth describes above - exacting, rigorous, and a joy to work with. I have a particularly fond memory of putting the finishing touches on an OOPSLA panel over dinner with John and David Ungar. By the time we finished with the panel, we had run up a very expensive tab. Since we all worked for different companies, John arranged to split up the bill. Somehow I ended up with the lion's share of the bill, and when John realized it, he apologized. Through all of the OOPSLA 2004 planning and execution, John never flagged. His enthusiasm and drive were infectious. It was a privilege to work with him. We will all miss him greatly, but I look forward to greeting him someday on the other side. It will be a joyous reunion. I have read all of the above entries about John and must admit, that as a lawyer and not a technical type, I have no ability to process the technical comments and references above. But I attended high school with John and will confess that, although I have seen him some over the years, including last January when he was visiting his parents down here in Virginia, I had no idea he was such a �rock star� in the programming world. Such was his humility and modesty. I will share a story about John that dates back to 1978, when we were in the fall of our senior year of high school. Sitting bored in 6th period government class one day, I doodled two lines of a Moody Blues song (Never Comes the Day) on the desk. When I returned the next day, someone had doodled the next two lines of the song. By quizzing the teacher on who sat in the same desk in prior periods, I found out that it was John and we both laughed about it later. He loved music. John was also very devout and his faith was evident as he and Dru Ann faced the loss of their daughter several years ago. One day, my friend, we will see each other again, not in a mirror dimly, but face to face. For anyone interested, the family has asked that any donations be made in John�s name to the Children�s Cancer Fund, P.O. Box 658, Millwood, NY 10546. If you wish to send a card to John�s wife, you can send it as follows: Dru Ann Vlissides, 1340 Sunny Ridge Road, Mohegan Lake, NY 10547. If you wish to send a card to John�s parents, you can send it as follows: Matthew and Sophia Vlissides, 7601 Burford Drive, McLean, VA 22102. I was fresh out of grad school and I was presenting the patterns from my MSc work. The one about RemoteOperation? caught his eye and I remember him saying he wished he had had it when they were writing the Proxy pattern. I was quite awed that one of software's great would think so highly of something I'd done. During the workshop sessions, he was just one of us, looking at papers and commenting constructively on them. I felt very fortunate for these few moments spent in his company back then. I only knew John from the few PLoPs that I have attended and interfacing with him as he edited my chapter in the PLoP 2 book. Hearing of his passing has only made my memories of the PLoP workshops grow fonder. I was fortunate to be able to attend the second PLoP and have him as the co-lead of my group. Watching JimCoplien and he spar over "Quality Without a Name" and be each other foils was a wonderful sight to behold. I tended to stay away from the crowds at PLoP - I was a fixture on the couches or in quiet rooms away from the socializing. John would often catch eye of me, come over, sit down and just chat. I remember our conversations about Washington DC (and how pleasurable it was to meet someone else familiar with my hometown). I remember him as a calming, intelligent soul. I cannot say I knew him well - but I can say I will always remember him well. I never had the chance to meet him personally. Maybe in my early developer days (back in the mid 90s) I might have seen him on an OMG Event in Vienna, Austria, but there are no more records at OMG about that. I fortunately met Erich Gamma 2 or 3 times so far and once in 2000 I was even allowed to witness him revealing what soon after became Eclipse - presented in Erfurt at NetObjectDays. Other colleagues and some of John's co-workers I met, like Arthur Ryman (Eclipse/WTP) who left a note above. I am not so much of a cook, but for trying to be a great writer and composer, I feel and live in a similar spirit, too. Also did some development in the spirit of patterns, but mostly what later became J2EE Patterns at Sun. P.s. : Strange coincidence, but John died the same day as one who fulfilled one or two of John's dreams (writer and composer) as well. And became one of the greatest Rock Stars also in a group of 4, Freddie Mercury from Queen (not to mistake with the MercuryLanguage ;-). My first encounter with John was in 1995 on the "patterns" and "patterns-discussion" mailing lists. I was just a lurker on those lists at the time, and didn't feel "weighty" or "worthy" enough to post anything to them. Then after having lunch (Pizza actually) with RobertCecilMartin ("Uncle Bob"), who encouraged me to do so, I ventured a posting to the patterns-list and described the PizzaInversion pattern. I was actually quite nervous about it - being a complete unknown and "daring" to post something that poked a little fun at patterns. John and RichardGabriel were among the first to respond, and the response was very positive. I felt I had been officially "warmly welcomed" into the software patterns community. A couple years later I attended the PLoP'97 conference and got to meet John in person for the first time at one of the lunches. Like many others here, I was in awe of how unpretentious and humble he was. Again, he made me feel very welcome amidst himself and others at the table of "rock star status" in the patterns community: he apparently recognized my name and included me in the running conversation, mentioning that the first time he saw my PizzaInversion pattern, he thought "it was brilliant". Later, at PLoP'98 and PLoP'99, John encouraged me to get together with SteveBerczuk and write a book on SoftwareConfigurationManagementPatterns for the Addison-Wesley "Software Patterns Series" of books, for which he was the series editor. And during 1999 I actually became editor for the Patterns++ section of the C++ Report, including John's PatternHatching column and JimCoplien's "Column Without a Name." It was both an exciting and humbling experience for me to serve as editor for the contributions of two people so famous and revered in the patterns and object-oriented design communities. They both mentored and taught me so much (as did Bob Martin) during the "hey day" of patterns and OOD. During the years between 1998 and 2002, John personally shared with me a great deal of insight and sage advice about writing, authoring and editing, as well as lending loads of encouragement and support. I truly feel like I have lost one of my mentors in the software design/development community. John's humor, insight, humility and clarity will be sorely missed. When I had a chat with John at OOPSLA many years ago, he said that he had found that it was better to learn Refactoring before learning Design Patterns. Based on this his advice, I approached Refactoring. This led to my refactoring leading to Design Patterns. And then as a consequence, I started Test-Driven Development starting with simple solution and as the complexity increases, I refactored the code and introduced a design pattern(s) to solve the problem. Even though I never had the chance to talk to John personally, I have always felt connected to him because of the Joshua 24:15 reference in the GOF book. It's amazing that this small line has caught the attention of so many people. When the "Anti Patterns" book was released, they also had a reference to a Bible verse: "And ye shall know the truth and the truth shall set you free" (John 8:32). I was never sure how to read this, but I think they were making fun of the Bible verse in the GOF book. Looking back, this second verse is comforting to anyone sharing his beliefs, in a strange way. John knew the Truth, and witnessed about it; the Truth has set him free. The first time I met John in person was on the OOPSLA '01 conference committee. Obviously, I had known who he was before then, and was thrilled to learn that he would be the Program Chair for OOPSLA '01. So, at the fall committee meeting, I first met him in person. That was down in sunny Tampa, Florida. (Florida was actually recounting the votes for the presidential election at that point). We immediately got along very well. What a pleasure to work with him. I noticed at that meeting straight-away what was going to be so typical for all our common endeavours: he respected me as a peer (although I have never done anything to deserve that) and made me feel welcome in the team. Such a fine person and gentle man. A few years later, he got me on his committee for OOPSLA '04, as Mr. Posters, as he would put it. The conference was, IMHO, a big success, and so were the tracks I was responsible for. John would actually not assume any credit for that, but I feel that it was mostly thanks to him! I could make sure to get all the mechanics right, but he would carry me all along, while at the same time sheltering me. It was thanks to him that I took the confidence to do a great job. His commitment to excellence was indeed contagious. He had the rare ability of giving constructive feed-back in the most purest sense: Always to the point and justified, never making me feel destroyed. In addition, he turned out to be one of the few American's who could get along with my (British) sense of humour. Meeting John and working with him was one of the best things that ever happened to me. After the committee dinner of OOPSLA '04, he said to me "It has been great to work with you." I did not realize at the time that these would be the last words I would hear from him in person; still, I left Vancouver in 2004 with a bizarre feeling. "It has been great to work with you, too, John." Since the news came along, I am very sad; and thankful for the (far too) few years during which I had the privilege to share some moments with him. Hearing that John's passed away was really sad news. I enjoyed his book "Pattern hatching. Design patterns applied", which helped me to get a better understanding of subtle problems in design patterns, and about interferences between them. In July 2004, I was preparing an article/paper about my observations on Design Pattern identification and how patterns when applied right (as opposed to prematurely applying patterns) provide a reusable/flexible solution to problems. Being a great fan of Gang of Four book and specifically John's Pattern Hatching, I googled up John's email address and sent him a request to review it. He was kind to accept the request. Being the perfectionist that I was/am, like most of my works on such "walk-the-thin-line" topics, I have never finished it. Maybe it's about time now! 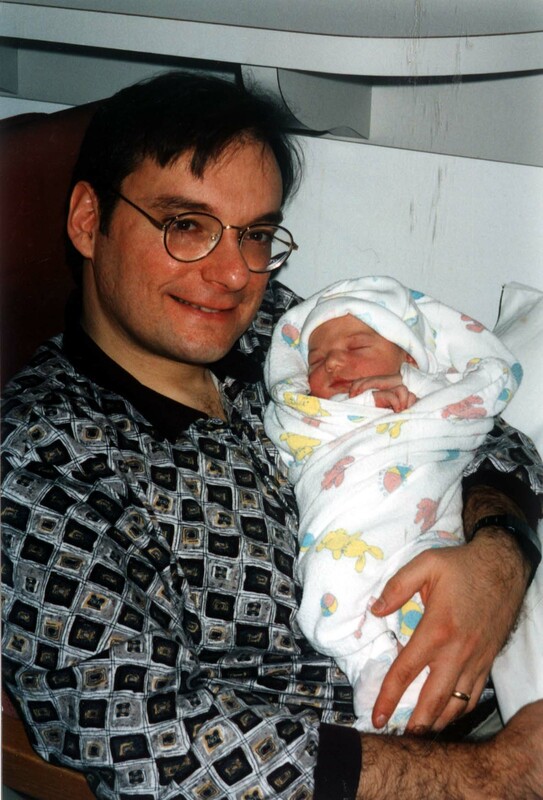 Back in 1996, I took the UC Berkeley Extension course in Design Patterns and Frameworks from John Vlissides and I can honestly say I have never met an instructor who was more passionate about his subject than John. His humor, his easy way of approaching things, and his willingness to always listen and appreciate what others had to say has stuck with me ever since and though I met him only once, and then for only 3 days, his passing has affected me like the loss of a friend. John, you were a Singleton among people and you will be sorely missed. I can hardly express how sorry I was to hear about John's passing. I had the privilege of meeting him about three years ago, when I was invited to TJ Watson to give a talk on user interface design patterns. The lecture terrified me :-), but it went well, and sometime afterwards I ended up in John's office talking about patterns. I wish I could remember more of what he said. But I do remember that he was the person everyone here is describing: positive, gentle, supportive. He strongly encouraged me to keep working on those UI patterns, even though I was so discouraged by the intractability of making a language out of them. He said that he would love to see it published as a book, and that he would help if I asked. Well, that was the first time I seriously considered the book idea - hey, if John Vlissides said the ideas were good enough, maybe they really were! The idea sat in the back of my mind for two years, as I worked through those patterns over and over again, and eventually it did become a book (Designing Interfaces, published by O'Reilly). I very much wanted to finally show it to him and ask, "How did I do? Is it okay?" And I wanted to thank him for setting me on the path that led to the book. But the week it was published was the very week that we lost him. John, I wish you Godspeed. To his family and friends, my deepest condolences. To the rest of us - we were lucky to have him, weren't we? Thank you all for posting your thoughts to this page. I first met John at OOPSLA 1998 in Denver. I already knew a few things about his involvement in the GoF book but nothing compares to meeting someone in person. During one of the OOPSLA receptions, we talked for about one hour. The conversation started with my telling John about my research on lightweight workflow architectures at the University of Illinois. We covered much more though, well beyond patterns. I remember John's advice about the pursuit of an academic career and his take on the childcare system in the US. Following 1998, I ran into John at OOPSLA conferences, and sometimes at the annual post-OOPSLA Hillside event. In 2003 in Annaheim, CA, John asked me whether I'd be interested in editing the PLoPD5 volume in his Patterns Series. I don't remember his exact words, but he said something along the lines of his being impressed with my completing and defending a dissertation in time. I last saw John at OOPSLA 2004 in Vancouver, BC. Although he was very busy running the conference, we had a good chat. I will miss him. John was a terrific man, so centred on what is right and practical, and getting on with it. I knew him mainly through work of various kinds, but I did find out when I visited him at home that he was a great family man. We had quite a laugh over the ThornwoodWorkshop, as in his feedback he said "this was totally chaotic but it seemed to work". Eventually, he came to see that in fact it was very organized, but not in his way. I will miss his energy and focus. "My name is John and I like Yoga" followed by a few steps into the center of the circle and a lotus position. This was how John introduced himself in the NameGame? at the last PLoP that he attended. I enjoyed John because he was both very supportive of ideas and the presenter but also challenging them to go further. I experienced this with John. I will miss his calm and intensity. I had the pleasure of meeting John at a Christmas party in 1995 in Mohegan Lake. I met his wonderful wife DruAnn and I was amazed that I was so interested in this new Object-oriented wave at Kraft Foods and here I was talking with the guy who was the author of a new software paradigm known as design patterns. I am really glad that I got a chance to meet John, and he will be missed. During the summer of 2002, I interned at IBM T.J. Watson Research in Hawthorne, NY, working with the Business Application Modeling group on the "Architects' Workbench" project. AWB was developed by a small group at the time, but it was an internship experience I treasured. In particular, I had the privilege to work closely with John Vlissides, who became a mentor to me. John helped to get my feet wet in pair programming and taught me how fluid mastery of and clear thinking in design patterns could lead to simpler and more elegant code design. While his name initially intimidated me, the young and inexperienced intern, John's gentle and kind nature calmed my nerves and easily eliminated my "meet-a-well-reputed-individual" fright. In fact, he laughed heartily when I told him that I was nervous to meet him. The humor that is distinctly John earned my many laughters. His candor and sincerity made working with him pleasant and enjoyable, however intellectually challenging the task at hand may have been. Time flew when we were pair programming. Several times, we would work until it was nearly dinner time, and John never failed to call home to let his wife and family know when he would be coming home. His passion for his work was evident, as was his love for his family. Though our collaboration was fairly brief, I developed a deep respect for this man in that short time. John was a good man, and I will miss him. Last night (Thu 12/8) at John's memorial service in Yorktown, New York, it was said that we came together to "celebrate a life well lived". And we did. We celebrated John's life with deep joy in the midst of grief. Maybe like others in John's church family, I had only a vague idea about his work. A few years ago, I happened to google John's name. I was astounded at what I found. At our next meeting, I said, "John, you are famous!" He had a good laugh about that. As others have written here, John held that fame lightly; it didn't own him or define him. I heard him emphasize how his work was a collaboration of many people. He seemed most delighted to describe how those ideas have been expanded by others. A speaker last night said that naming design patterns was a breakthrough because then people could speak about patterns and work with them in a new way. Seeing and naming design patterns allowed a clearer view of source and purpose. Design patterns identify recurring phenomena and reusable solutions. I was thinking about what John might say about the accolades written here and spoken last night. I was thinking how he would laugh. And then, how he would clearly name the Pattern that described his source and purpose. Along with all your family in Christ, we grieve "not without hope" and even with deep joy in the midst of grief. That deep joy comes from seeing a life well lived and from the sure expectation of hearing your laugh again. In 1999, I was following Andrei Alexandrescu's C++ template work on policy-based class design, and it struck me that there was some kind of relationship between the space of classes generated from Andrei's templates and the spaces of solutions corresponding to design patterns. I wrote John, suggesting that he look into Andrei's work, and he responded with enthusiasm. Shortly thereafter, John invited Andrei to co-author a pair of articles in the C++ Report exploring the relationship between templates and patterns, and I think those articles gave Andrei's ideas the presence they needed to start gaining traction in the world of C++. I happened to see the columns before they were published, and I remarked to a colleague of mine, "I love [John's] writing. I wish I could write like that." I still do. I�m sad to hear the passing of John Vlissides. I met John only once, way back when he was a graduate student at Stanford in the mid 80�s. I was working at a Silicon Valley software startup with a few brave souls who were looking to use C++ and InterViews for our product. We needed help. He and John Calder were gracious enough to come by and offer their advice. We learned a lot and did in fact successfully deliver the fairly substantial project. Years later, I was excited to see John Vlissides had contributed to, what was clear to me then, the watershed book, Design Patterns. In so many ways, his work has profoundly influenced my approach to software development, as I�m sure it has to countless others. My thoughts go to his family. Farewell. John attended the first and second-to-last meeting of the Watson Eclipse Developers' Exchange (WEDE) a few years back, along with Bob Fuhrer. We had Eclipse Brownies to kick-off the event. The thing about John was you just had to like him. He had a passion for our work that was light and positive. It was always fun to see him. He cared. He loved what we do. He was brilliant. He was fun to work with. It doesn't feel at all fair, not at all, that he had to leave us so soon. Here's the recipe for Eclipse Brownies in memory of John. Preheat oven to 350 degrees Fahrenheit. Mix the dry ingredients (cocoa, sugar, flour, baking powder, salt) in a mixing bowl. In a separate bowl melt the butter, add honey, milk, eggs, and vanilla, and beat with a fork. Pour the wet ingredients into the dry and mix just enough to make a batter. Pour the batter into a greased or non-stick pan sized about 81 square inches. Bake for 30 minutes, until a toothpick barely comes out clean. Note: These are rich, dark, deep chocolate brownies. Cut back on the cocoa if they're too much for you. I was a year behind John in both high school and college. John was a cut-up in our AP Physics class and was constantly rolling his eyes behind the teacher's back along with Adam Galambos, his partner in crime in almost all things. I knew that John was a brilliant student and I looked up to him but his sense of humor and wicked intellect is what I will always remember. I'm in a different engineering field from John so I was pleasantly surprised to run across "Design Patterns" a few years ago. We caught up by email and needless to say, he was gracious and warm recollecting our mutual memories. It was great to see the notoriety that John has attained throughout his too brief professional career. While I kept up with him sparsely over the last two decades, I'm honored to have known him and it must warm the hearts of his family to see how many lives he changed and how sorely he will be missed. As a new student to computer science who attended the same little church as John, I often asked him for advice about where I should go to grad school, how PhD's work, etc. He always helped me out. He always gave me so much of his valuable time. I had no idea he was even so famous until I took a software engineering course - he was so humble. He was one of the few people I could have long discussions of abstract philosophy and theology with. I guess what I'm trying to say is that his faith, his humility, and his intellect all showed me a person I would want to emulate. It almost sounds trite but honestly, the greatest pattern he gave us was that of his own life. I'll miss you my friend. 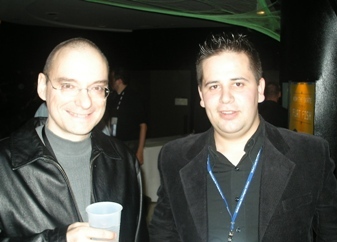 I had the chance to listen to John's tutorial in design patterns last year in OOPSLA 2004 in Vancouver. I was so delighted and happy to be able to listen to him not only for the technical expertise he distilled all the time, but also for his kind manners and willingness to help. I sat in the front row and was able to have a little chat with him during the tutorial and then at the end. When he was asked about the second edition of GoF, he replied �No, definitely not�. Coincidentally, I attended last week the Webminar �A conversation with by Eric Gamma�. When Eric was also asked about the second edition of the GoF Book, he said �there are some talks going on�. I jumped on my seat and yelled to Eric that John had said �No, definitely not�. Now, I know what he meant in Vancouver. He said �No, definitely, not� NOT because he did not want it BUT because he knew he would not be here for that. But rest in peace, John; when I get my copy of the second edition of GoF, I will put your name on IT. So I would not blame you for not giving us more of your knowledge. My main memories of John were from AW author dinners over the years. John was always fun to hang out with and was always super-inclusive of newbies to the patterns world. 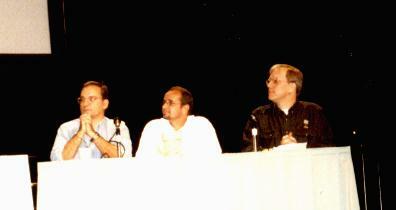 John was nice enough to invite me to keynote OOPSLA back in 2001. He was a super gracious host and made me feel really welcome to my first OOPSLA as attendee and keynoter that year. We, the developer community, honor John for his contributions in Software Developement, especially Design Patterns. John, you are a legend in the minds of software developers using GOF patterns. I always admire your invaluable contribution. I will never forget John Vlissides. The things he did, what he said, and his personality live on in my mind. Our paths crossed each Sunday while we both attended Community Bible Church in Ossining, NY. Allow me to share some mental �videos� that show the kind of man he was. In the first video, I see John bending down to kiss my 89-year-old mother on a Sunday morning between church services. She is of Greek descent, as was John, and they took a few minutes to exchange greetings. She looked forward to their meetings and the words they spoke each week. Her first words after his passing were how much she was going to miss their times together. John�s smiling face dominates the next video. He is walking around our just purchased, new Chrysler Concorde. His boyish enthusiasm was overwhelming. It was John who told us how great the car was and suggested that we get it. He loved that car. I almost felt that we bought it for him. Some months later, my wife Jes had a flat tire on the highway. A car pulled up behind her to help. It was John. First words out of his month - �I recognized the car.� What a guy! I remember the next scene very well because I was out of work at the time. It is easy to be down on yourself when no opportunity seems to be presenting itself. I see John coming up me after I had �preached� at the morning service. I can hear him tell me how well I did and that any company would be pleased to have me working for them. I didn�t realize it at first, but John was encouraging me to believe in myself and keep going. The last video I see in my mind�s eye has John and his wife, Dru Ann, sharing in our Adult Bible Class. The topic is hard times and trials. John and Dru had lost their beautiful daughter earlier and had come through some serious medical issues with their second son, Mark. In spite of it all, John confidently asserted his faith and trust in God. He and they never gave up on the Lord. I was looking at a hero that morning! The words from �It�s a Wonderful Life� ring true. One man�s life touches so many others. John Vlissides made an impact on me, and so many others. John�s was a wonderful life and I will never forget him. At Community Bible Church, Jud and I have watched Matthew, John�s son, admiringly as he has grown over the years: acutely observant and intelligent, as well as a person of high spirits; qualities, as Dru Ann said at the memorial service, that can be attributed to his father. But my most frequent contacts with John (and Dru Ann) have been because of Mark and Robert in Junior Church. I have watched John and Dru Ann over the years (though in small snatches of time) taking loving but also fun-creating care of their children. Mark�s disability brought out this joyful creativity as well as great attention to detail in the way that they interacted with him and that Dru Ann still does. The result in Mark is his loving nature and growth in responsiveness. Robert, who is now six, has come into the class to be my �helper�. It is the way he refers to himself, and the word guides his behavior. I recall once when we were having snacks and were about to thank God for them, Robert said he wanted to pray. He prayed for our food but also prayed for his brother and for his father to recover. Very recently, when we were together in Junior Church talking about Jesus�s helping his friends in need (this was after the funeral and memorial services and holiday time away in Virginia), Robert mentioned that his dad had died and that �Helen, my sister� had died. I know he is bravely processing the difficult and, perhaps, incomprehensible experience of losing his father along with the things he has been taught by his parents (among them that God is good and faithful), the things he has heard from his mother that they wish to live the best John in his fine character showed to them (Robert said something related to this), and an effort to bring these thoughts into his every day life, his life connected with learning to call on Jesus for help. When Robert is looking through these memorials to his dad, I want him to remember this spiritual work and path that his father and mother and grandparents too (by their own lives and by their instruction about the love of God) had set him and his brothers on when they were very young. -- Nancy McClure? You certainly are blessed to have such a wonderful account of the recollections your dad�s colleagues and friends have of him. As young as you are, you have your own set of memories of your dad as a father and as a husband. It is our prayer that these remembrances not be just a collection of memories but a guide and a role model as you grow and become men yourselves. First of all, we remember your dad as a man of God. In spite of his success in his career, he had other priorities. His first priority was his relationship with Jesus Christ. In one of our visits to the hospital, he expressed his desire to serve Him even in his illness. His family, your mom, his sons and his daughter were next in his list of importance. He loved your mom. He was so proud of you, Matthew, and your successes. 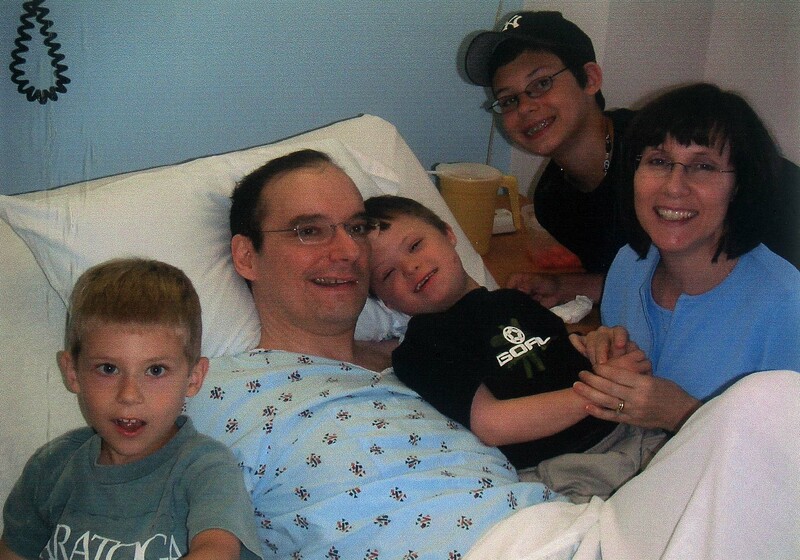 He spent countless hours with you, Mark, while you were in the hospital; it became his office. You and he were �buddies�. Robert, you were his special �little boy�. He missed Helen. As young as your dad was at the time, he became an �elder� at the church and only stepped down to become the chairperson for Christian Education. Certainly, he undertook that responsibility because he was just as interested in your spiritual education as he was in your secular education. �Fear not for I have redeemed you; I have called you by name; you are mine. Then we knew the source of your dad�s faith and courage in the midst of his losses and grave illness. Yes, your dad was a very brave man. 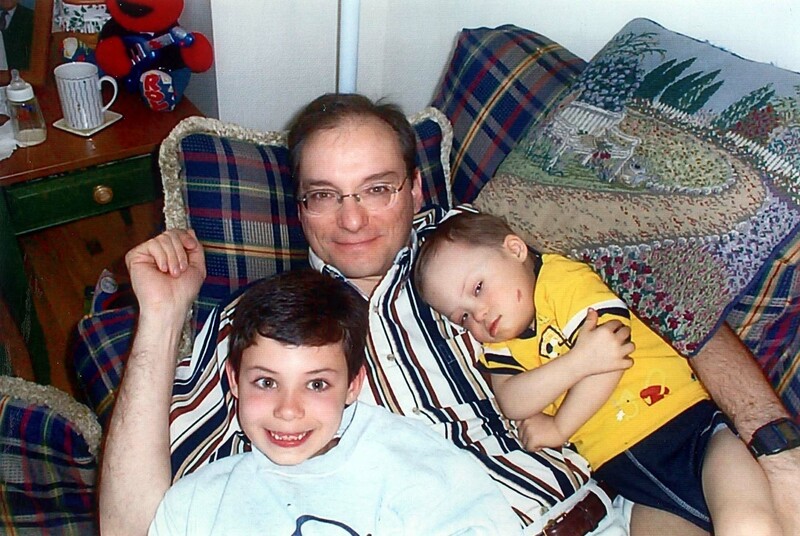 Matthew, Mark and Robert, your dad is no longer with you but he leaves a giant role model for you to follow. We miss him too, but we will not forget him. You will always remind us of him. I knew John as a colleague, fellow member of our church, as an elder there, and later as our chair for Christian Ed. 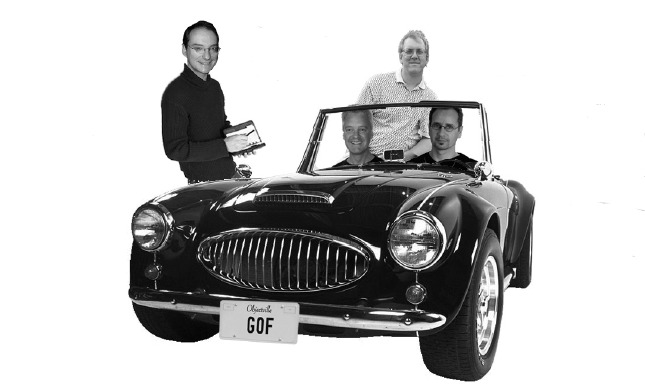 Since John was in the software end of the business and I am in hardware, I did not know the details of his work, but was not surprised when I learned the significance of the work of the gang of four. While this is impressive, I was even more impressed by his integrity and courage. Early in his career, I recall him challenging some corporate actions that he considered inconsistent with his Christian beliefs. One can debate whether those actions were indeed thus inconsistent, but what impressed me was that John, then relatively new to the company, would take on such an issue, writing his concern in a respectful but clear way, being not content to just go along. This was, to me, the act of a man of conviction and courage. I suspect that it was this same integrity and courage that led him to take on the roles of elder and then Christian Ed chair at our church. He was, in those roles, a breath of fresh air. As Ruth and Stan said above, we miss him, but we will not forget him. John, we knew you for a short thirteen years, but grew to love you and your quiet, considerate ways. We are almost twice your age, but you never failed to stop and ask how we were and ask about the hurtful knees and whether we were able to keep to the "diet". The diet book you just produced one day for our use, saying it was good and you had tried it. Grandpa Dunscomb found your conversation stimulating and refreshing and he did enjoy those conversations. We too did not know the significance of your work and how successful you had been, but were not surprised to find that you did not inform everyone. When it was revealed that you had cancer, we sorrowed and prayed. I remember the night we had dinner at your home when Isaac Anguyo was our house guest and you gathered together the missions committee to have fellowship with him and included us. You were in the midst of chemo and did not eat that evening. When we asked why, there were no complaints, just explanations about how it was best at this time that you fast. You laughed and made us all feel at home. The last time I saw you John, I told you I loved you. You held my hand tightly and told me you loved me too. We miss you and will look forward to meeting you again in the heavenlies. I will always treasure three things in particular about John. First, I was blessed to see the love his dad and mom had for him. His parents gave sacrificially for him, and you could see the positive impact this had on John as a person. Second, I was impressed by his love for his wife and their great marriage. They were a unified couple in many areas, and I stood in awe of their relationship. Third, his love for nicknames. John had a nickname for everyone and everything, it seemed, and I think this demonstrates best his love and enjoyment of life. John had an incredible faith in God, and knew without a doubt that God had the power to heal him. He was also incredibly determined to live. I remember visiting him in the hospital at one point when he was quite ill. He was sleeping at the time. We spent a few moments praying for John, and then whispered good-bye in his ear. He turned his head away and shook off that good-bye. He was not ready to leave this world. And yet, even as healing didn�t come, John did not stop praising and honoring God. We miss John very much. I first met John in May 1993 in my role as an Artist-in-Residence / Tangential Thinking Co-ordinator at a residential course for IBM at their facility in upstate New York / Thornwood. The plan was to introduce 100+ IBM workers to C++ and OO (I think) and to make it a memorable course / experience for the participants by incorporating games, art and music and countless opportunities to subvert or depart from the IBM dress code. I was encouraged by the (magnificent) seven computer scientists who were teaching the course, to pull out all the stops. They committed themselves to enthusiastically involve themselves in all of the activities that I introduced and the course was undoubtedly a big success on all counts (and a lot of fun). Subsequently, I became part of the PloP community (as a Tangential Thinking Co-ordinator / Querdenker Koordinator) and worked again with John on a number of occasions. We were always very pleased to see each other and he continued to enjoy and value my contributions to the conferences / the patterns community. My reaction to the news of his passing surprised me. I became very upset and tearful and realized that one of the reasons I have enjoyed working at the PloP and Oopsla conferences so much has been the opportunity for me to renew old friendships and working relationships with a very special group of individuals. Each time as I have set off from London to fly to Chicago or Los Angeles or Munich or Tokyo or somewhere in Scandinavia to a PloP or an Oopsla conference, I have carried a subconscious list of people that I have hoped that I would meet up with again. John was always near the top of that list. I had no access to the Internet for a long time. News about John�s death shocked me. He was the Person from the capital letter. Unfortunately, I haven�t met John in person. I communicated with him via email. But he helped me a lot. I am grateful to him for the help. The Design Patterns book changed my view on object oriented design. I am very proud that I had the opportunity to communicate with him. What�s a pity that people like John leave us. I just want to thank all of you so much for your thoughtful and kind memories of John and how he's touched your lives. It's amazing to have a more intimate view of his professional life, a view that his family and friends outside of work did not know much about. 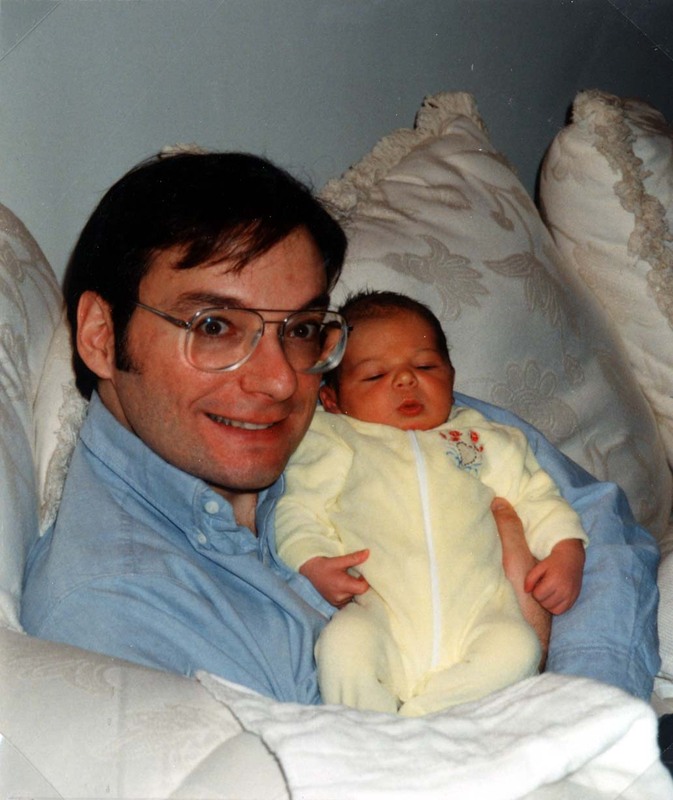 While I thank all of you for sharing your testimonies and funny memories, I thought you might like a snapshot of the personal side of John Vlissides, the family man. Here I can, for my kids' sake in later years, point to how much his family meant to him. John was thrilled. Having a brother 13 years younger, he was already experienced at playing with and changing babies. I had to learn from him! 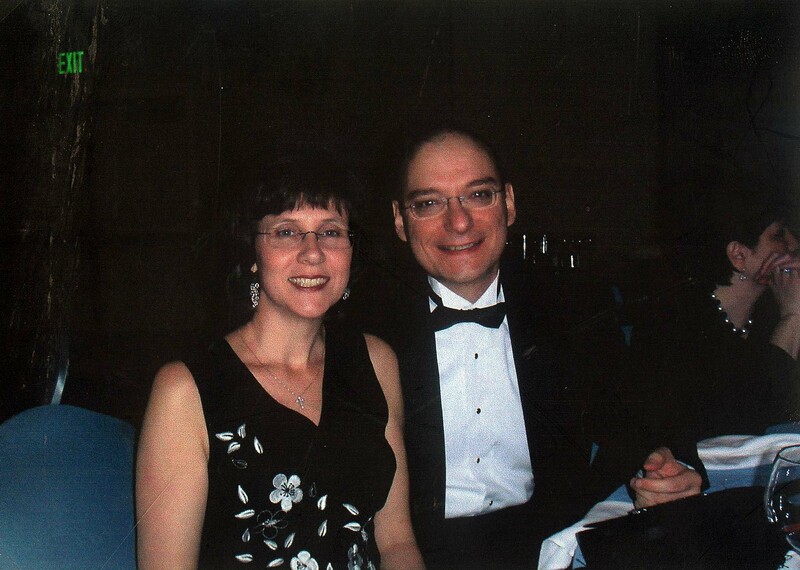 Helen was diagnosed in November 1996 with Hepatoblastoma while John was in Austria on business. He took the next flight home he could find. He was working on his book Pattern Hatching from the basement of his parents home in Virginia by day and supervising the overnight medical care for Helen in the hospital overnight. John never struggled with Mark being born with Down Syndrome. He just trusted that God knew what He was doing by giving us this special assignment. Of course, Mark was also born with funky blood counts that were supposed to normalize out by the 2nd year. Instead, 5% of the time his condition develops into AML Leukemia. We discovered we had to go forward with the leukemia treatment the day I found out I was pregnant with #4 - Robert. Because of Chemo, John insisted on doing all the hospital time during the chemo treatment. When all traces of chemo were likely gone, he allowed me to come to the hospital by day to relieve him so he could go to the office and work alongside his colleagues, attend meetings and the like. 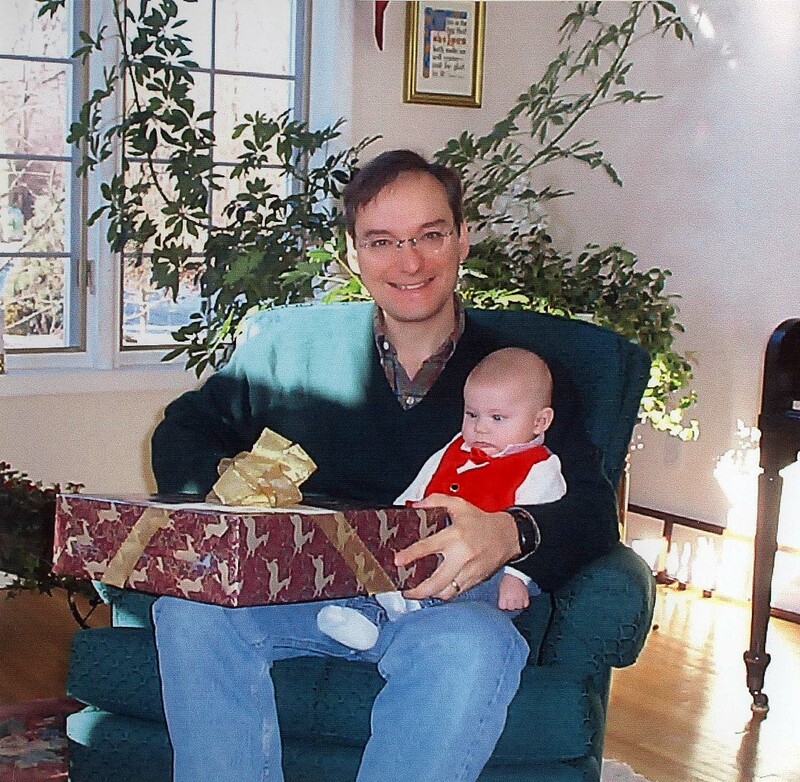 This picture taken at Robert's first christmas. Daddy loved spending time with him. The experienced dad! Mark and John had a special relationship due to the amount of hospital time they did together. They had their own language practically. If daddy was in the room, only John could feed him. And, from the time he was an infant, they had a routine of sleeping on the sofa together. I think it was a ploy not to have to clean up the dinner dishes. But hey, he did always put Markie to bed. They had their routines. John's favorite pastime was relaxing with the family after church on Sunday. Or, sometimes wrestling with the boys in the family room, or taking in a cooking show. It's amazing to note that John lived fully and normally up until April 2005. He was feeling pretty good although he tired more easily due to the chemo treatments. But, here we are out together! A month later, he began having seizures and losing abilities to write and walk. Always the family man. Always content in whatever his situation. He made the most of it. Phillipians 4:5-7 says this: Let your gentleness be evident to all. The Lord is near. Do not be anxious about anything, but in everything, by prayer and petition, with thanksgiving, present your request to God. And the peace of God, which transcends all understanding, will guard your hearts and your minds in Christ Jesus. John trusted those words, He lived those words. He knew God's character and he had peace in the midst of his circumstances. He IS in a better place. Finally friends, I hope whatever you saw or learned from John that was good, admirable, pure, lovely, excellent or praiseworthy, I hope you will appropriate that from him and make it your own. That he might continue to change this world for the better.